As Chipotle struggles to make a comeback, the chain is refusing to do one thing: add queso to the menu. In a video released earlier in June, that recently resurfaced on Twitter, the chain explains exactly why. In the ad, Chipotle’s faux marketing team is brainstorming new ideas. Newcomer Larry suggests adding Tex-Mex favourite queso to the menu, infuriating the head of the marketing team. Instead, the marketing team decides to release a mobile game — just as Chipotle did in March. Despite Chipotle’s harsh anti-queso stance, the question of why the chain doesn’t sell queso has been one customers have been asking for some time. Some have even taken their business to competitors such as Qdoba due to Chipotle’s lack of queso. Doba is better than chipotle man, that queso is the deal breaker ???????????? Despite what Chipotle may say, the chain has recently made some changes that go against its prior stances. One of the chain’s core business strategies is to not change the menu — a rule the company is now contemplating breaking, with the possibility of adding chorizo, a pork and chicken blend, to the menu. millions of dollars on free food, with offers such as direct-mail coupons and mobile offers, to encourage customers to return to its restaurants in the wake of an E. coli outbreak that sent the chain’s sales plunging. Similarly, the chain never had a loyalty program. However, on Monday, Chipotle launched a rewards program tied to how many times customers visit Chipotle each month. 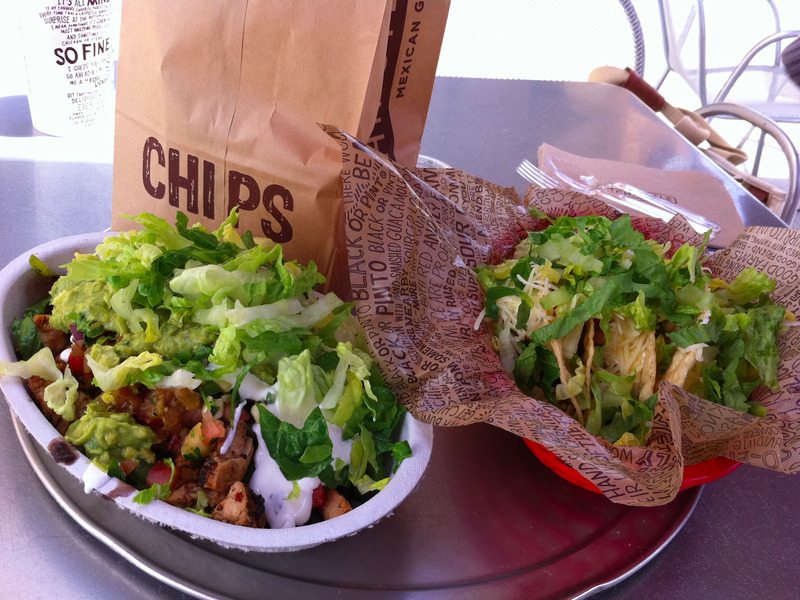 Despite marketing pushes, Chipotle’s sales have yet to bounce back, though there have been signs of improvement. The chain’s same-store sales dropped 30% in the first quarter of the year. Perhaps queso is what the chain needs to turn things around. The Tex-Mex favourite is typically made with Velveeta or another goopy “cheese food,” to create a delicious dip. Chipotle may not approve, but customers love it. If the chain can figure out how to crack the puzzle of how to make the delicious dip with all-natural ingredients (one various bloggers have been working on for years), it could be a major draw. 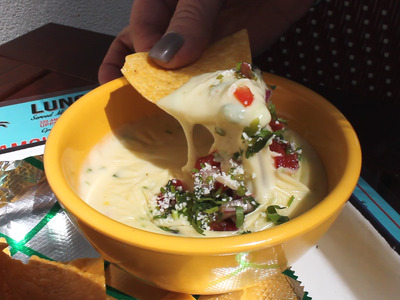 A strange, bitter anti-queso video, on the other hand, is only going to alienate potential customers.